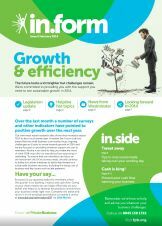 Please find below our Newsletter archive, containing all current and previous editions. 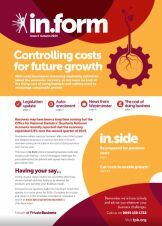 Business Growth and Efficiency – The Future looks a lot brighter but with challenges remain. 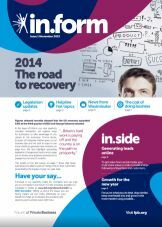 We’re committed to providing you with the support you need to see sustainable growth in 2014. Cash, costs and looking forward. 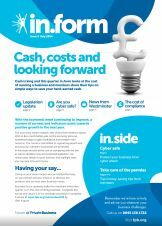 Cash is king and this quarter In.form looks at the cost of running a business and members share their tips on simple ways to save your hard earned cash. 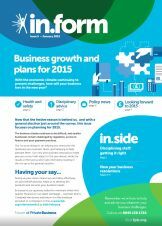 Business Growth and Plans for 2015 – With the economic climate continuing to present challenges, how will your business fare in the new year?